Sim-Plex has renovated a 7sq.m tiny consignment shop in Hong Kong into a piano classroom with wooden frames and transformable furniture. Client inspiration - The consignment shop is located in second floor of a tiny mall. Due to the limited space, every other shop looks messy and standardised; the high stream of customer flow also create loud noise. " Quietness, tidiness and multi-functionality" as suggested by Sim-Plex to client, are the wordings which would be achieved in this project. Wooden frames installation - Wooden frames with house shape are integrated with the furniture to create an installation cabinetry which adapted for different educational usages. The design elements are extended to the shopfront which stand out from other shops. 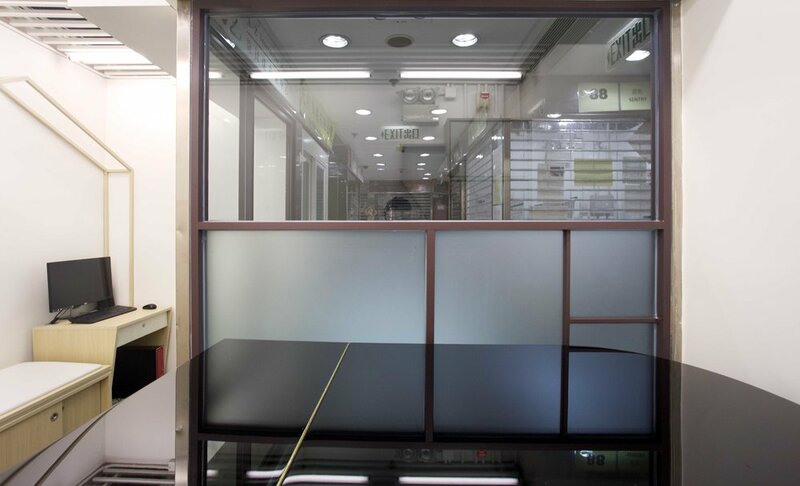 The shopfront is highly concealed with frosted, clear glass and brown aluminium frames. All the wall are filled with sober foam to enhance the noise proofing.
" Shop or Prison? "- Hong Kong is packed and crowded not only for its residential units, but also in commercial space. The situation is even obvious for some consignment shops in Hong Kong. Design is often neglected and keep as a lower priority due to the limited space. "Sometimes the shops looked even more like a prison or cage. Transformation of a shop into an educational area needed a re-intepretation of space and frontage. Could we injected any fresh air through this project? " said Sim-Plex Design Studio. Project innovation - In the frontage, the upper part is integrated with large clear glass which attract the focus of the pedestrains . The lower part is with frosted glass so as to keep certain privacy when having teaching classes. The brown aluminium frame is organised to make the frontage looks tidy. 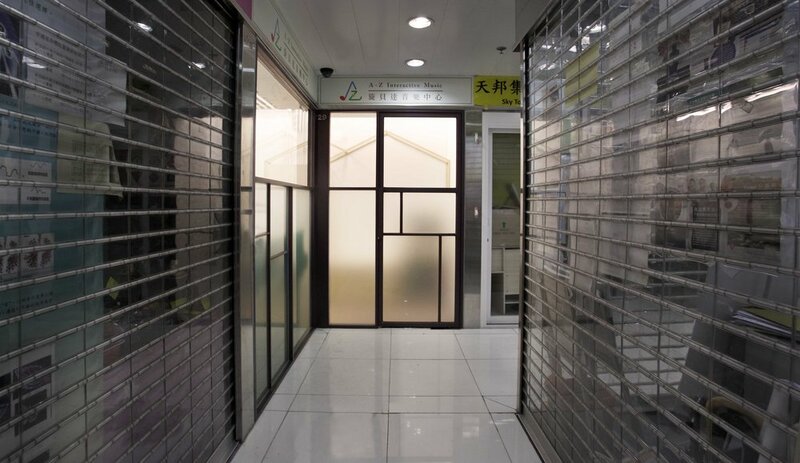 All the glass is concealed except the swing door and sober foam is used in the layer of wall to to enhance the noise proofing. Inside the classroom, wooden framed installation cabinetry is placed towards the shopfront. A movable working desk, a storage bench, a CD and book cabinet, a curtain for changing clothes, two movable mirrors is integrated into the cabinetry to suit for different teaching scenarios. In the other side of the classroom, a grand size piano is placed with a tree- like cabinet at a side. Through the transformation of a consignment shop into a piano classroom, a non-standardised, multifunctional and tidy educational space is attempted to create as a new prototype in hong kong.